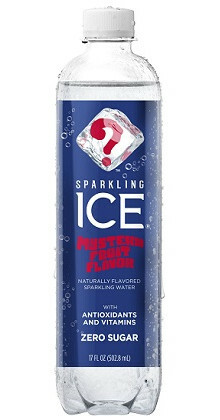 Talking Rain Beverage has released a limited-edition mystery flavor of its Sparkling Icea beverage. Though the flavor is a mystery, the beverage is a clear, lightly carbonated beverage with zero calories, zero sugar and is created with natural fruit flavors. Previously released flavors include black raspberry, orange mango, pink grapefruit, kiwi strawberry, coconut pineapple, pomegranate blueberry and others. "We're always looking for new ways to engage with our consumers, and with the launch of a new mystery fruit flavor, we're adding an element of surprise to our fun-loving brand," said CEO of Talking Rain Beverage Co., Chris Hall. "With the launch of our ‘What The Flavor Sweepstakes,’ we're eager to hear the guesses from our fans. Those with detective palates and who guess correctly will have a chance to win one of our exciting prizes." a Sparkling Ice is a registered trademark.